SVT Play is the web TV of Sveriges Television with real-time broadcasting. For a period of time it is possible to view many of the programs online. In SVT´s tv guide they announce which programs that will be published in SVT Play. During special events, i.e. sport or musical event, the programs are also broadcasted live on SVT Play, offering extra material that can´t be displayed on tv due to commercial breaks, sign language or time limit. 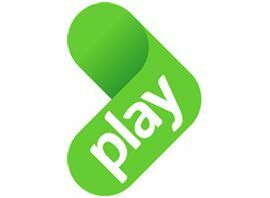 SVT Play is the brand used for the video on demand service offered by Sveriges Television, more specifically to the streaming services offered on the SVT website, svt.se, and its counterpart for mobile phones. SVT claims that the service offer more than 2,000 hours of television. Most programmes produced for or by SVT are published on SVT Play after they have been broadcast and are then available for 30 days. SVT have also launched "channels" dedicated at different audiences under the "Play" name. The first such channel was Play Bolibompa which launched in late 2007. It was followed by the news service Play Rapport which launched in May 2008. During the 2008 Olympics, SVT made all Olympic broadcasts available on the web in three Play channels. The brand was introduced in December 2006, when the existing web television service got a new name. In September 2007, SVT launched their own channel on YouTube. From late 2007 until end of 2008 SVT Play was also available as a channel on Joost. In August 2008, SVT Play became available on an IPTV platform for the first time, as the service launched on Telia Digital-tv with newscasts and Olympic broadcasts available.